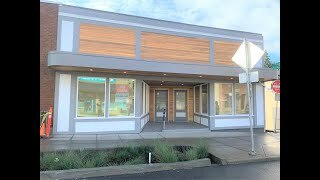 Professional Offices	7856 2,326 RSF Renovated Retail Space in Multnomah Village for Rent: $20 NNN Updated storefront with mezzanine and additional space downstairs. Private restroom and signage opportunity. Professional Offices	7858 1,588 RSF Multnomah Village Corner Storefront with Basement for Rent: $20 NNN 2-Story retail suite for lease in the El Capitan Building. Coveted corner space with windows and private restroom. Updated facade provides room for signage.